THOU SHALT pile on mantels, desks, side tables, coffee tables, entryways, shelves, and vanities. THOU SHALT NOT pile in closets, under beds, in bathrooms, children's rooms, or block any route you might need to escape in the event of fire, unexpected in-laws, etc. 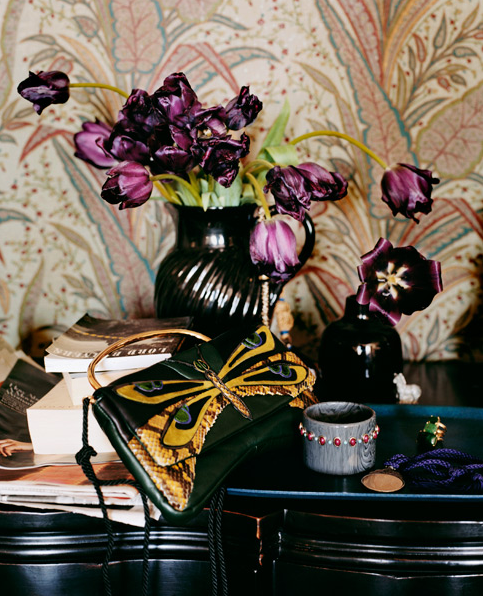 Lovely mixes of every day things are what photographer Melanie Acevedo captures - these beautiful layerings of pattern and color elevate piles to an art form. Mixing the practical and the fanciful (books, letters, trinkets) in an ad for One King's Lane - props for doing a fun piece of decor for a decor ad! 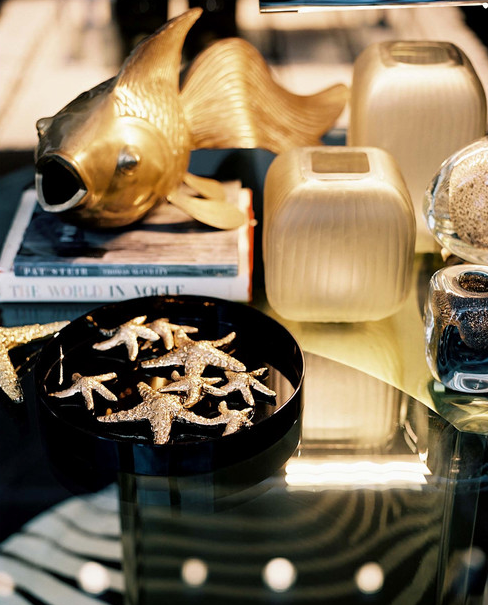 Italian store Flair, NYC, creates a lovely golden palette with nature inspired objects (Lonny Magazine). 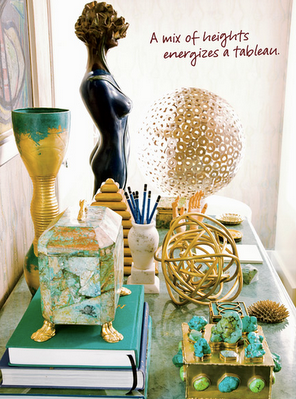 Kelly Wearstler makes table piles into an art form. 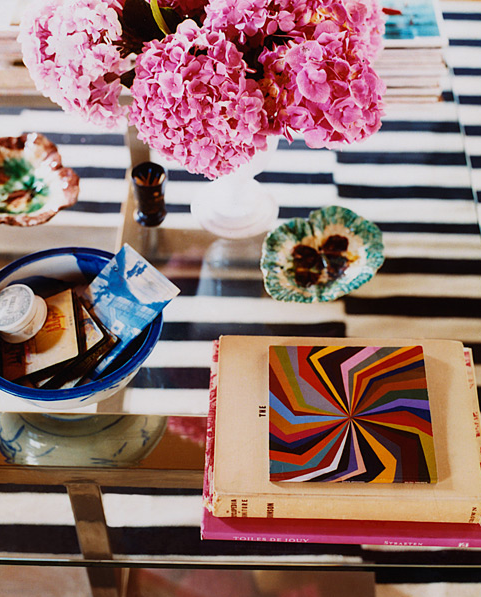 I love her books, often featuring images of her own home(s), where pyramidal constructions of objets d'art tower over table-scapes - and no doubt cause some distress to the housekeeping staff (dusting these must be fun!). 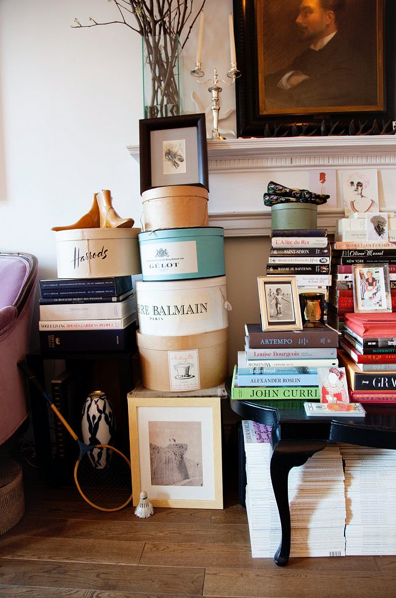 In Herve Pierre's home (courtesy the Selby), the creative director for Carolina Herrera cultivates careful piles of curiosities - books, hatboxes, miniature architectural models, and perfume bottles. Beloved magazine Domino shows the power of piling accessories - it doesn't hurt if they're all in the same color family. 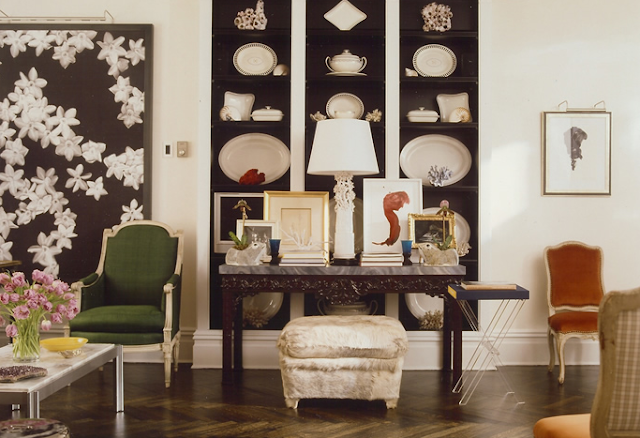 Designer Todd Romano uses his piles as structural accents; placing similar items in pairs keeps things from looking too cluttered, but avoided identical sets keeps the look from becoming matchy-matchy. What about you? Are you a piler? Do tell! Kelly Wearstler close up, Stylecourt.blogspot.com, other Wearstler photos, kwid.com. Domino vanity, gaitainteirors.com. 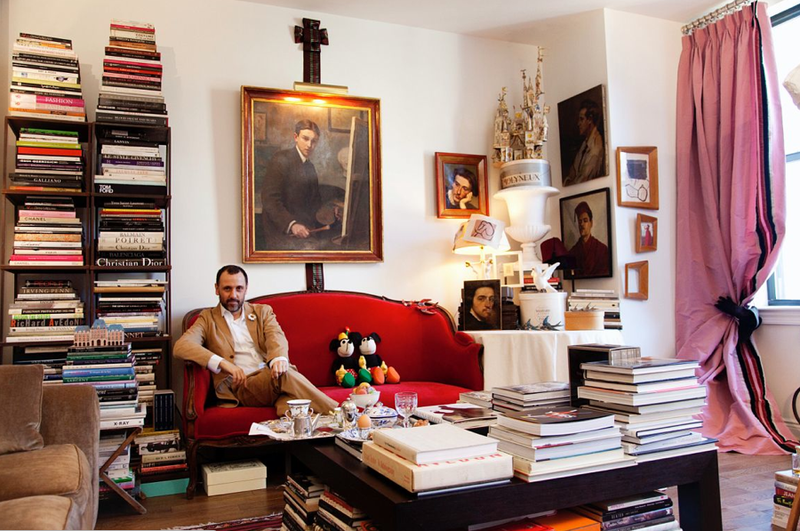 Pierre apartment, theselby.com. Acevedo's photos, melanieacevedo.com, Todd Romano's room, toddromanohome.com. Others as previously attributed. Love, love these images. Both cozy and beautiful; each one with a personality of its own. Thanks for sharing, and thank you for your nice comment! Love these arrangements! 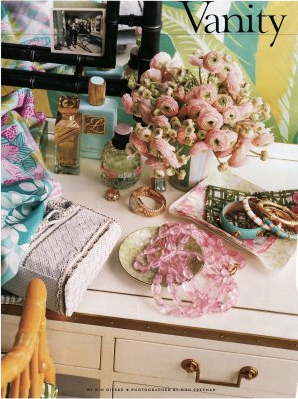 Such an lovely way to mix things up! I am afraid I am a queen of piling, much to my husband's dismay. But these beautiful images inspire me to make my pilings just a bit more artful. Maybe I should be? These are so stylish and beautiful! Yes I am a piler. I can't help it. I have too many things I love and I have to live with them every day. I long to be a minimalist but I just can't be. These images are gorgeous and make me feel better about my own piling issue. 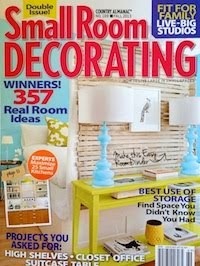 They also inspire me to go rearrange a few table tops! Happy day! 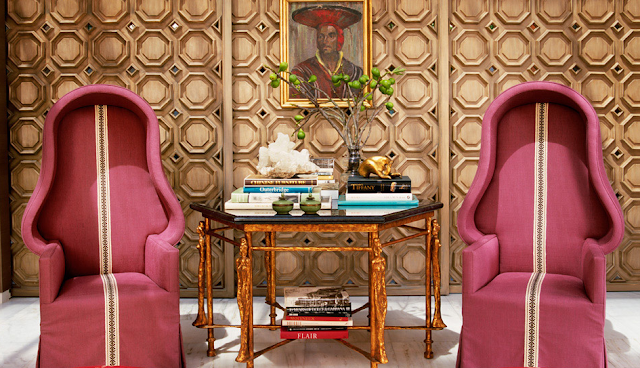 Gorgeous interior designs! 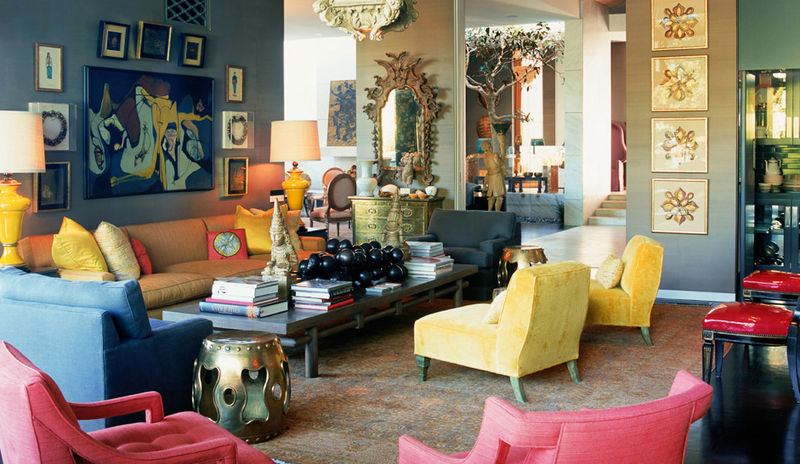 Love all the color combinations, fantastic! I like the idea of it but the reality makes me crazy. such a vibrant, pretty post!!! thanks for sharing! gorgeous! I love them all. My inner scales are constantly tipping between piler and minimalist! thanks for some great eye-candy.